Noosa residents will soon be catching state-of-the-art electric buses making it one of the first places to embrace the technology in Australia. A revised feasibility study indicated that the introduction of electric buses would come at a cost of about $500,000. Noosa Shire Council planning and Infrastructure director Martin Drydale says this is deemed to be the most cost-effective option in the long term. "Electric buses could soon be on the road between Tewantin and Sunshine Beach servicing Noosa’s busy 627 bus route, carrying up to 60 passengers," he says. "The six-month trial, which is subject to council and TransLink finalising a formal agreement, could be the start of a major change in public transport for Noosa." It is hoped the bus will become a popular option and attract even more users than a traditional bus might. "Electric buses are an appealing transport option because they are environmentally friendly and draw the interest of passengers with their visual appeal, as well as being a novel talking point," Drydale says. "The joint feasibility study undertaken between TransLink and council found a trial of electric buses would be worthwhile." If the trial gores well, more electric buses may be rolled out to service other short-distance bus routes in Noosa. 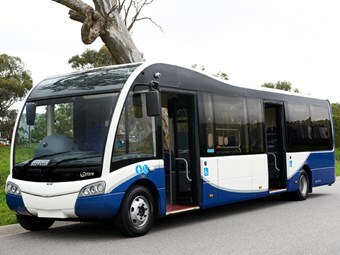 The electric new buses will be supplied by Optare Australia. Regional sales and marketing manager Guy Pex says they are elated with the council’s decision to go ahead with the trial. "Globally Optare is one of the largest suppliers of electric buses and one of the most awarded manufacturers. "In the UK, Optare EV is deployed in all major cities including dedicated Optare EV bus routes in London. "Nottingham City alone has over 70 in deployment with more EV buses being deployed every year." He is confident that more council’s around Australia will adopt the technology over the next few years. "They are now in use through Europe, with more announcements coming regarding Optare EV deployment in Australia." Pex is hopeful that state and Federal Government will soon step-up and provide incentives for councils and state authorities to adopt the technology, thereby decreasing the national reliance on diesel and help reduce emissions. "All major western markets (except Australia) offer state or federal incentives to shift to electric vehicle technology in the commercial vehicle sector, and incentives are also in place in growing markets including India and China."